In a perfect world, every driver on the road would be sober, reasonable, logical and in good health. These drivers would also follow all the driving rules to the letter. This will eliminate most of the road crashes and other accidents that normally occur on public roads. Since this is not a perfect world, however, there are traffic patrol officers to identify drunk drivers as well as irresponsible drivers who drive recklessly, or over the speed limit, with the aim of keeping roads safe. There are also insurance companies to cover any liabilities that may arise in one way or another. When you bring self-driving cars into the picture, there is a lot of uncertainty. After all, who will the police charge when these vehicles cause an accident? Since these vehicles do not have drivers, who will protect them from theft and vandalism? What is the speed limit these vehicles can move at? These are just some of the questions that need to be clearly defined in law. 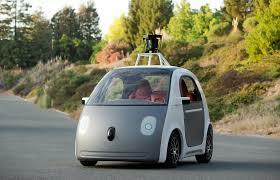 U.S. lawmakers have come to an agreement on the framework for the legislation to govern the design, manufacture and use of self driving cars. It is important to note that most of the tests that have been conducted around the country so far have been approved on a case by case basis with the good will of state and local governments, but there has not been any clear guidelines that make it possible for research and development companies as well as auto manufacturers to try different ideas with self-driving cars. The new legislation awaiting approval serves to give National Highways Traffic Safety Administration the power to regulate the design, construction and performance of self-driving cars, also known as autonomous vehicles. Since it will be a federal law, states will only be tasked with registering and licensing self driving cars, but they will have no say on the vehicle design and specifications. These changes in law from the rise of self-driving vehicles is what will spearhead the development of improved models of self-driving vehicles. Since companies will be collecting data when testing these vehicles, the law also seeks to enforce privacy laws by dictating how these firms can store and use the data they collect for the good of the industry, without compromising the privacy of individuals who use these vehicles. It is important to note that these laws are being formulated with humans in mind. After all, they form the bulk of road users.